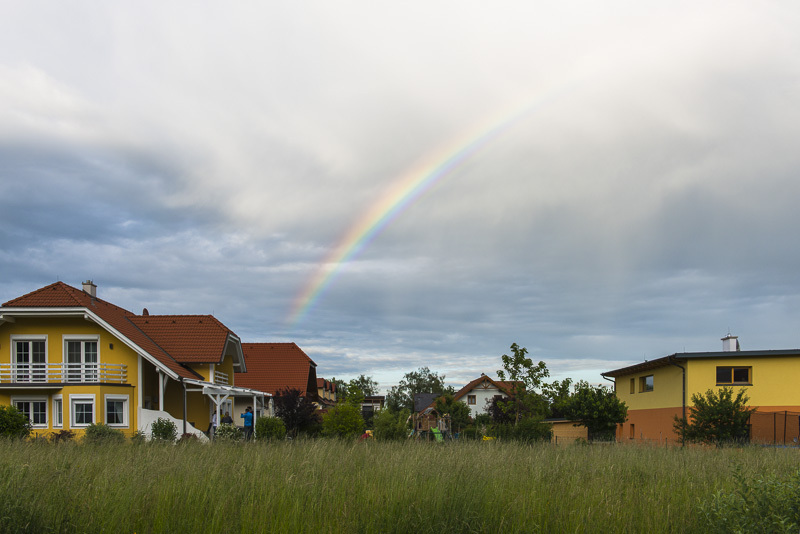 30.5.2014: Shortly after I came home a telephone call from Hansjürgen Pietsch: "Look at that gorgeous rainbow". 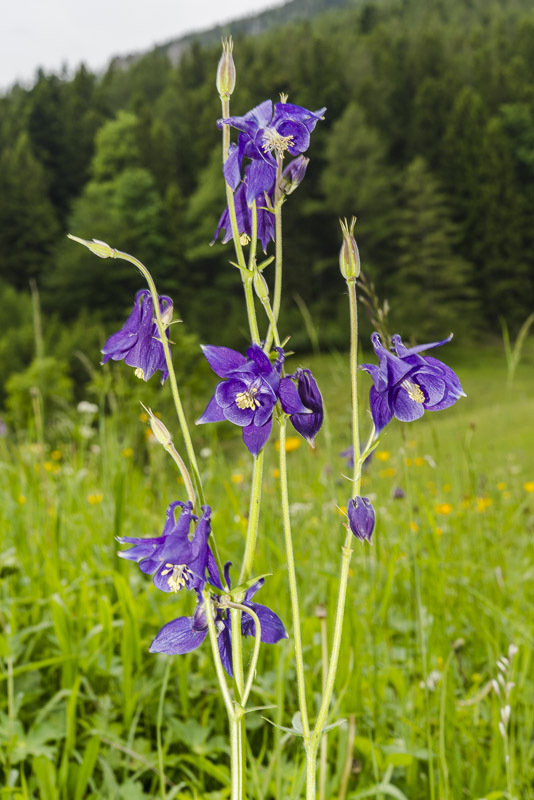 Hansjürgen and Karin Pietsch have joined a children´s party and seen this from the terrace. 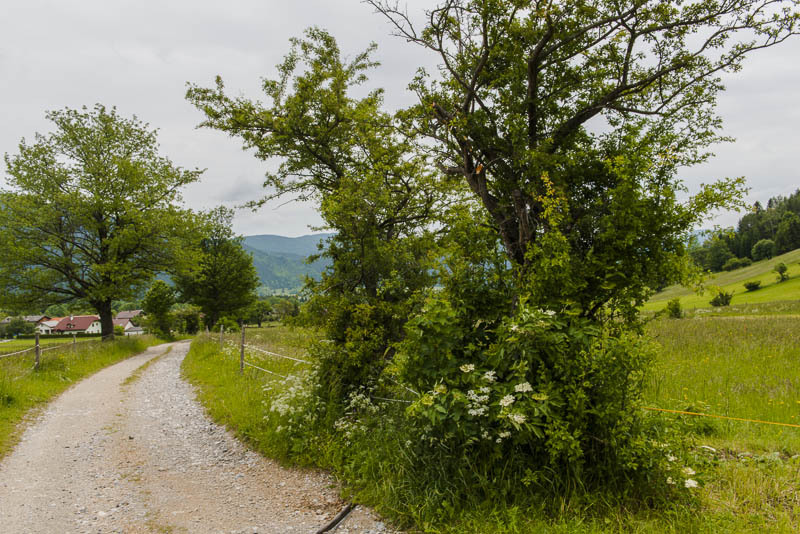 1.6.2014: Marlene has a riding lesson Knipflitz near Puchberg. 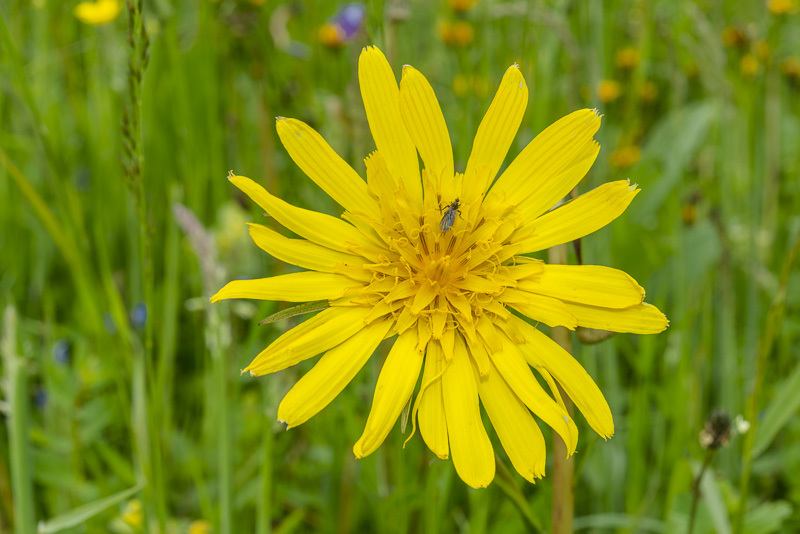 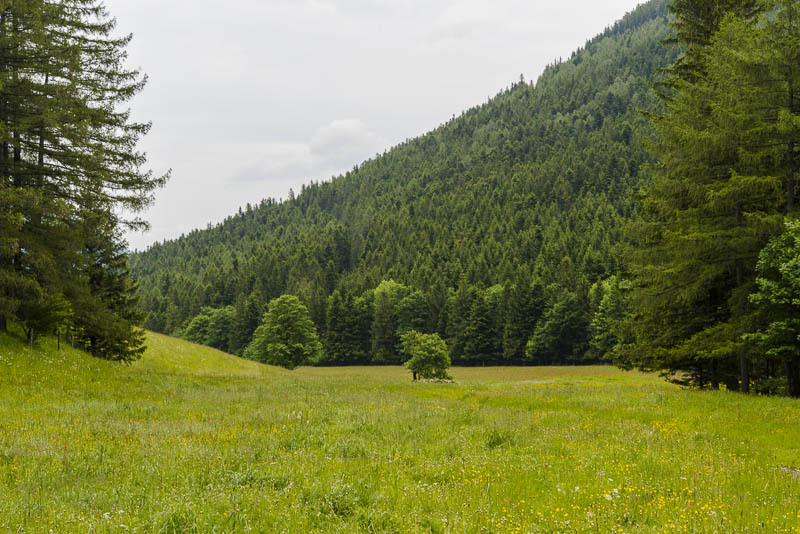 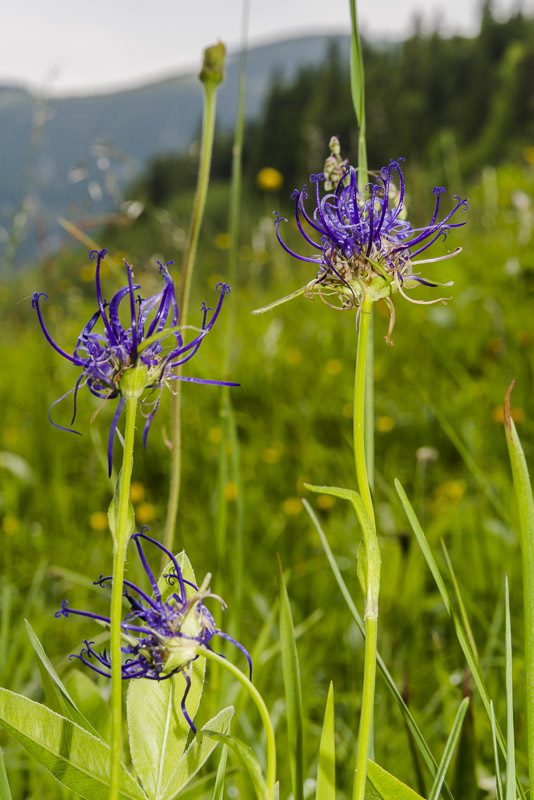 I drive a bit further from Knipflitz to the Schneebergdörfl and walk up the Schrattental. 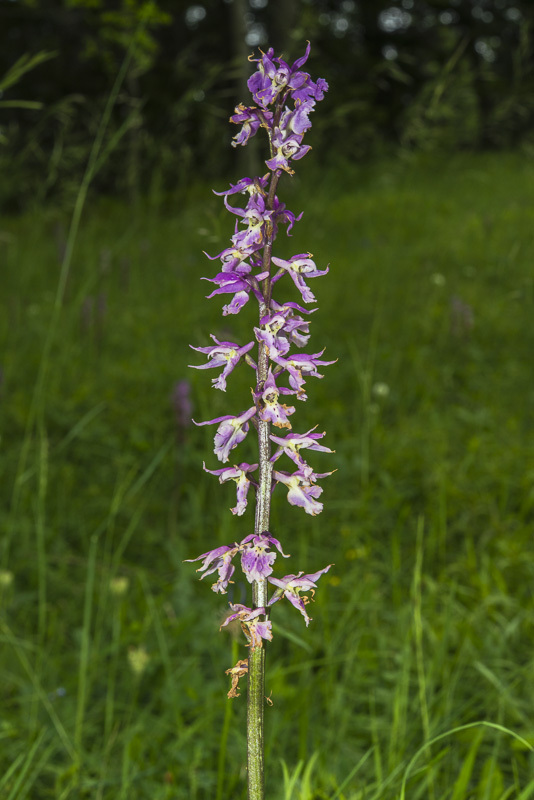 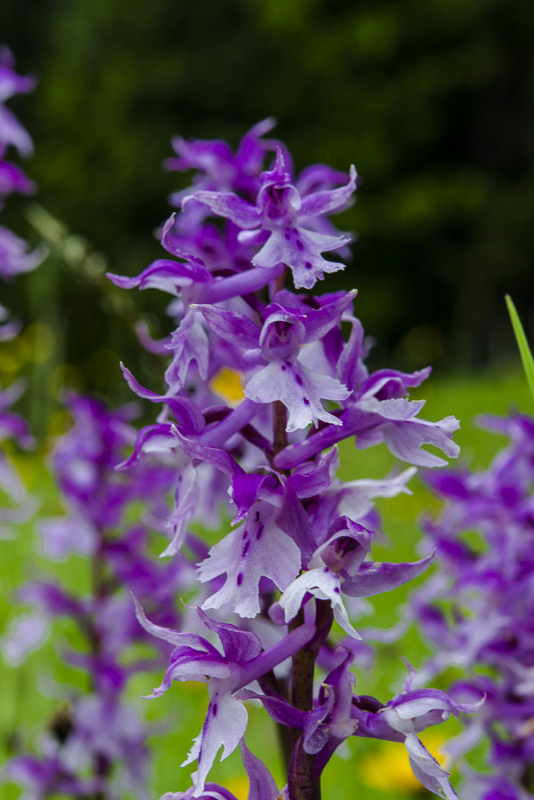 In the fruit orchard behind the last house called Schwabenhof, near the forest, am Waldesrand, wächst das Early purple orchids (Orchis mascula subspecies signifera) are growing. 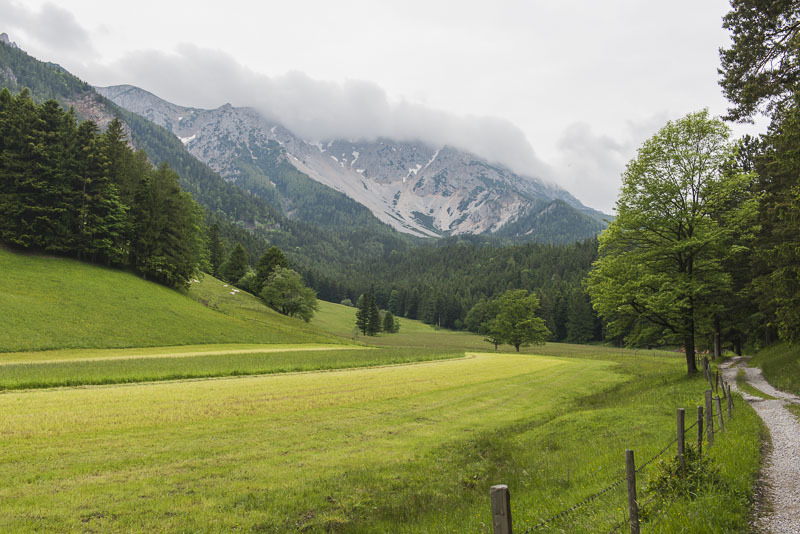 It is overcast today, so Schneeberg cannot be seen from the Schrattental. 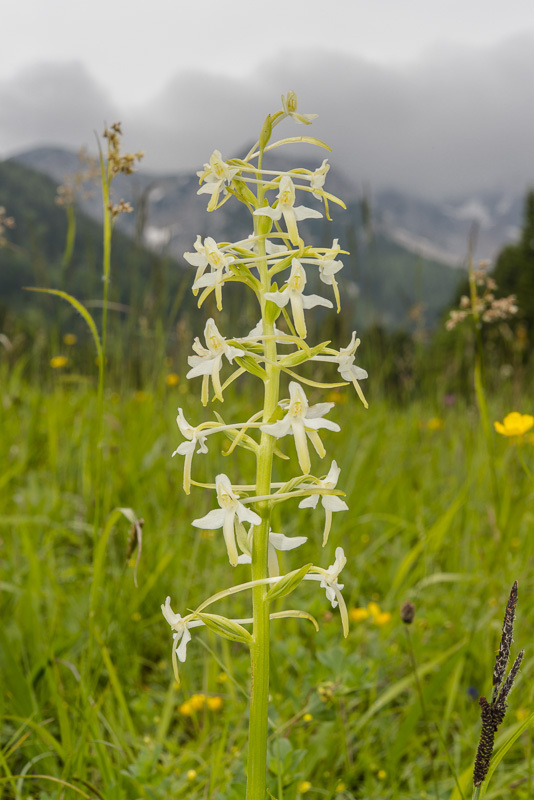 From the acclicity near the gravel road - far right in the picture above - globe orchid (Traunsteinera globosa) is growing. 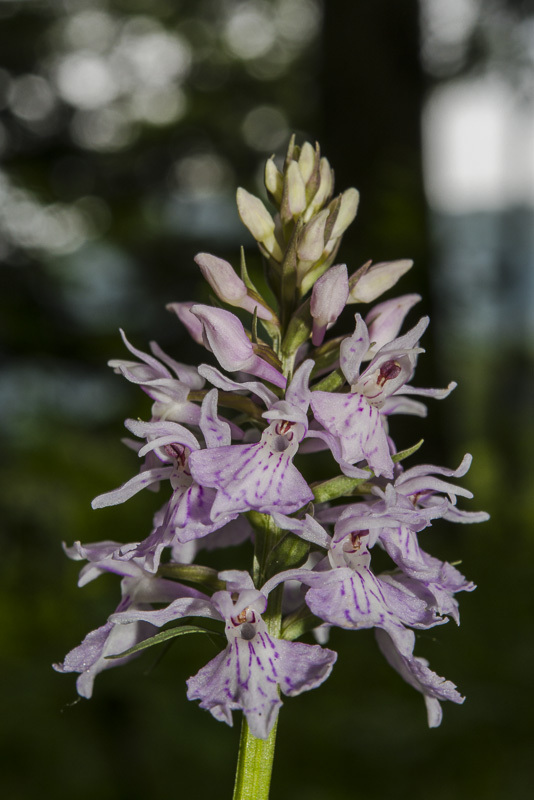 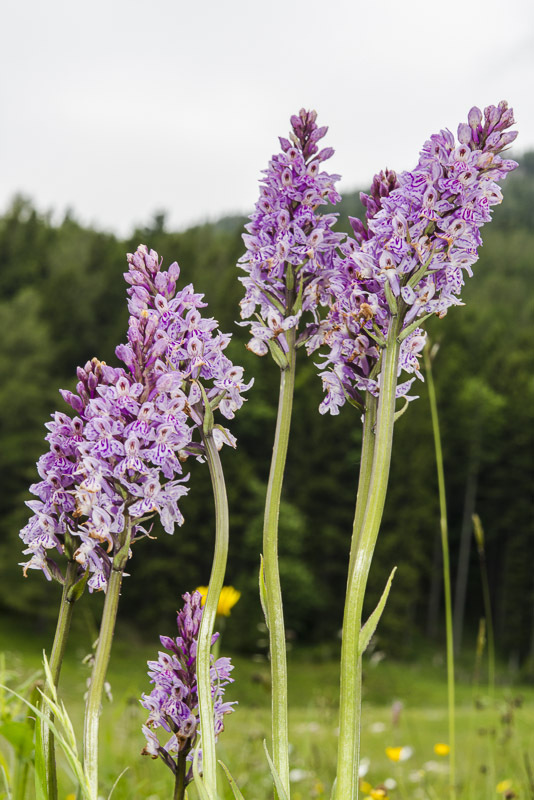 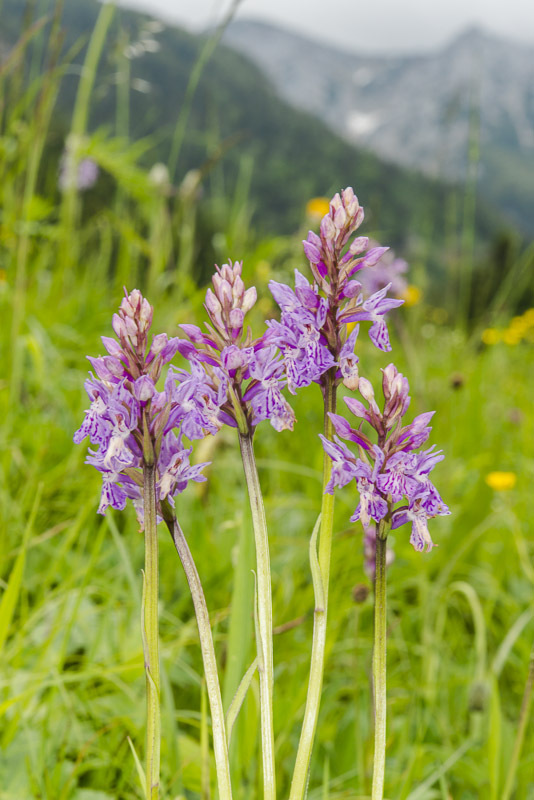 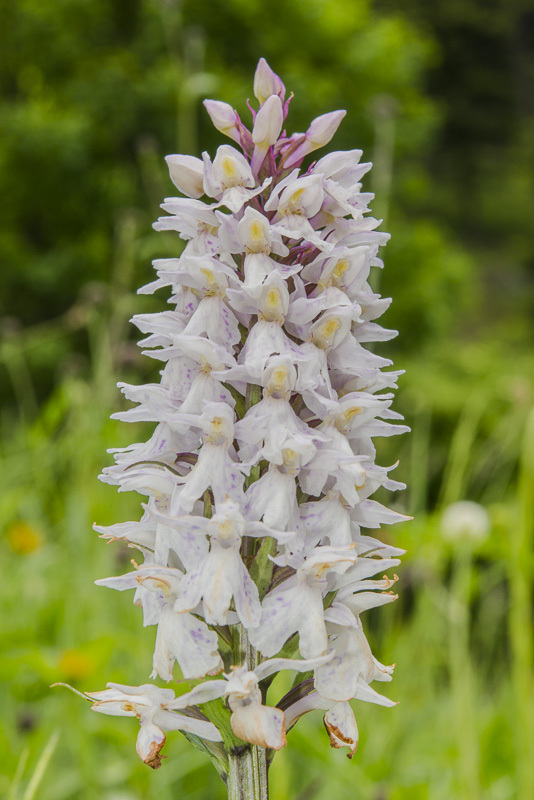 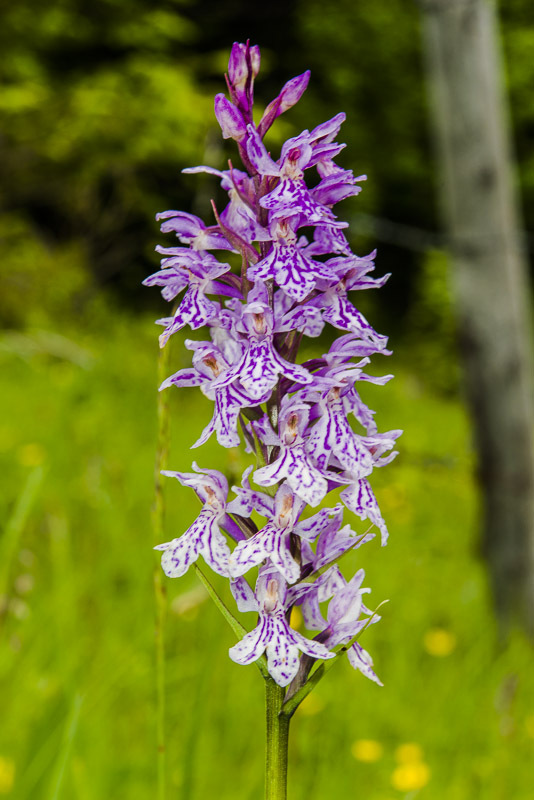 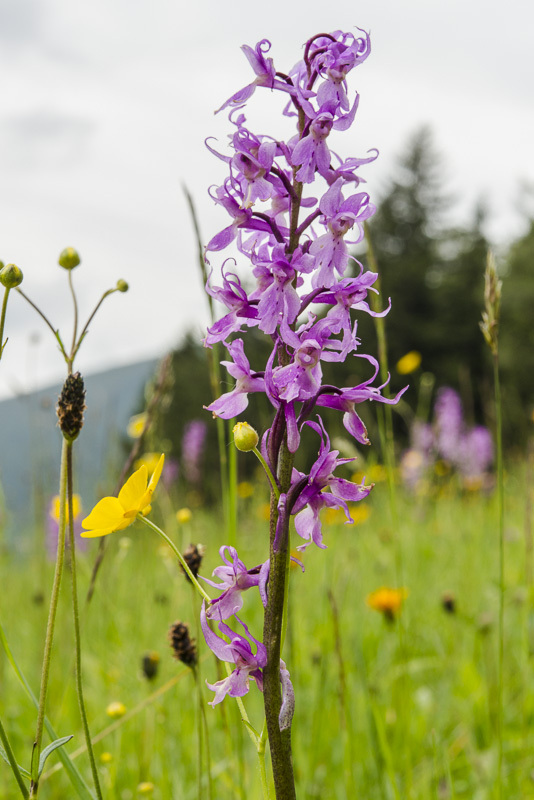 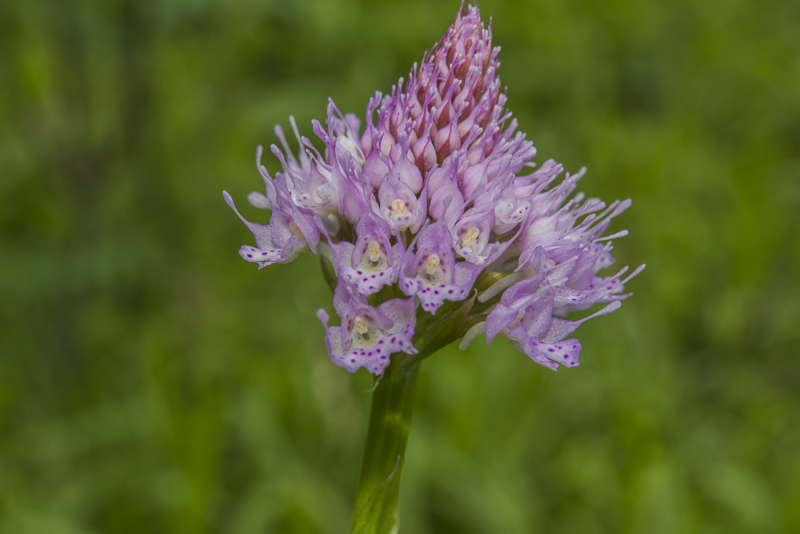 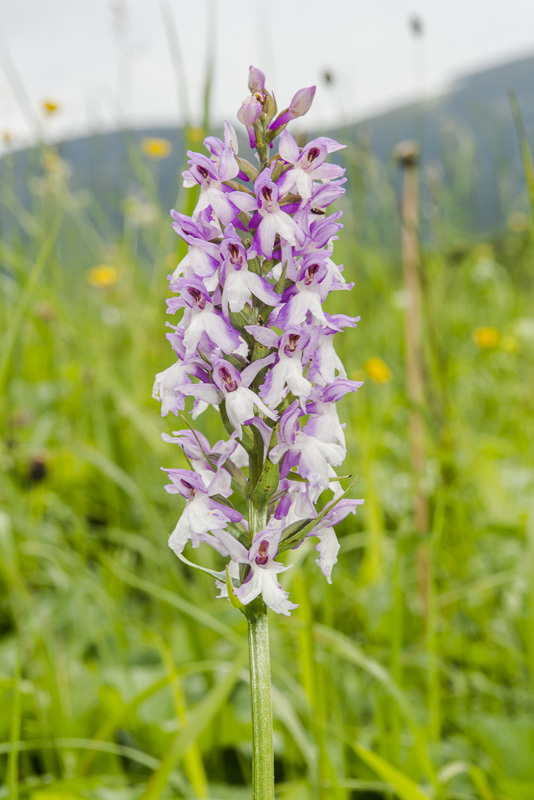 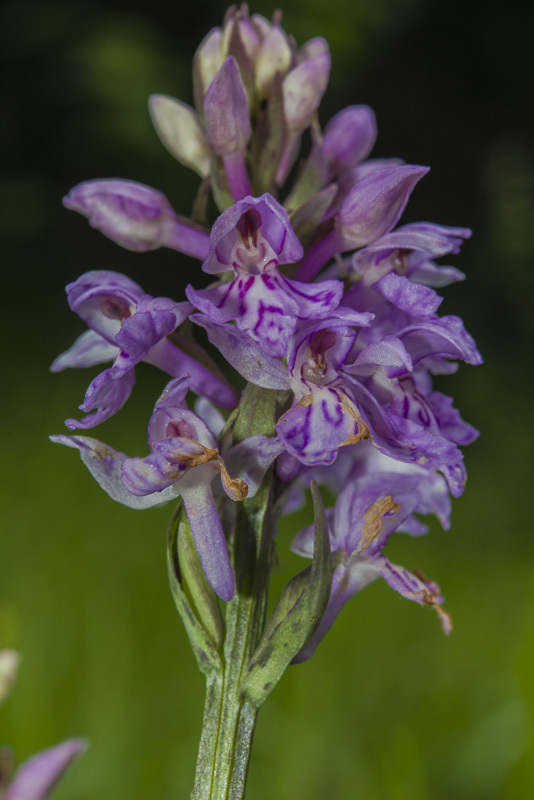 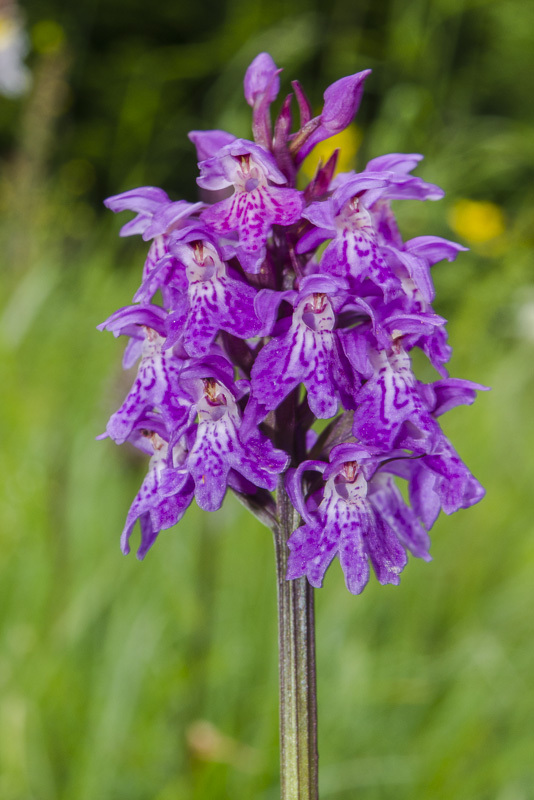 And many exemplars of common spotted orchids (Dactylorhiza fuchsii) in different colors. 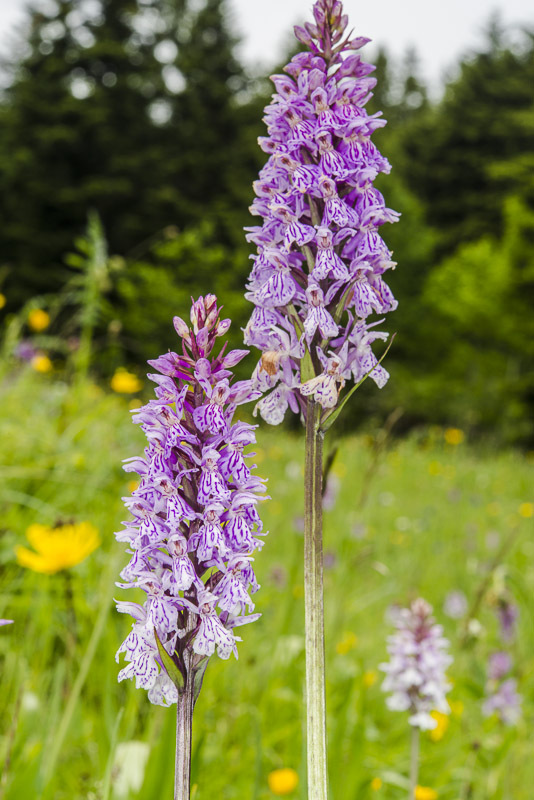 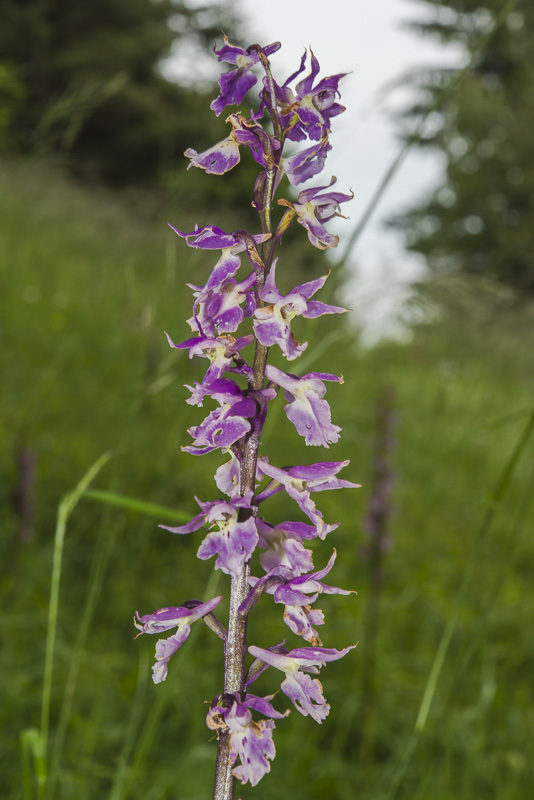 In the grassland hundreds of common spotted orchids (Dactylorhiza fuchsii) in different colors and patterns. 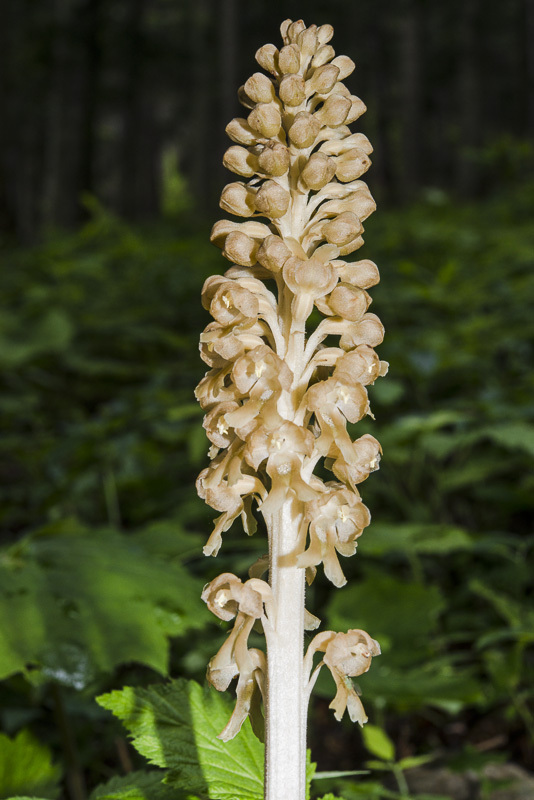 Bird´s nest orchids (Neottia nidus-avis), a parasitic orchid species, is growing inside the forest. 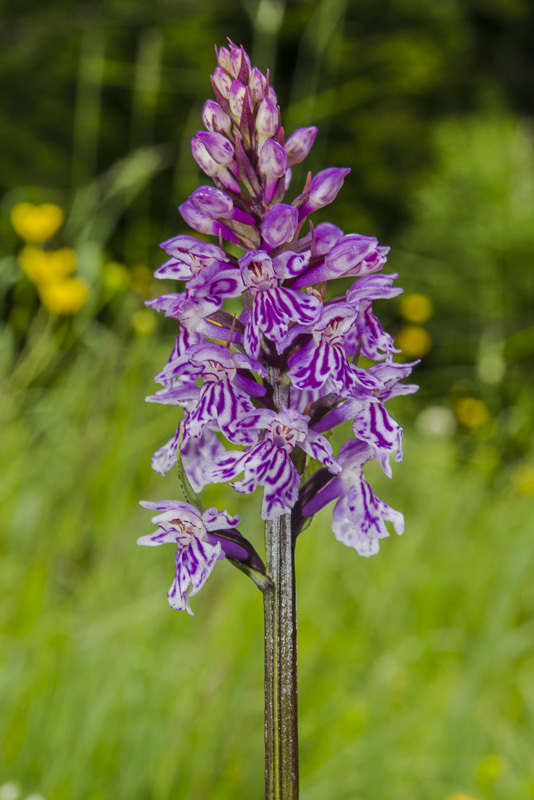 Once more, near the upper outskirts of the grassland, a large patch with Early purple orchids (Orchis mascula subspecies signifera). 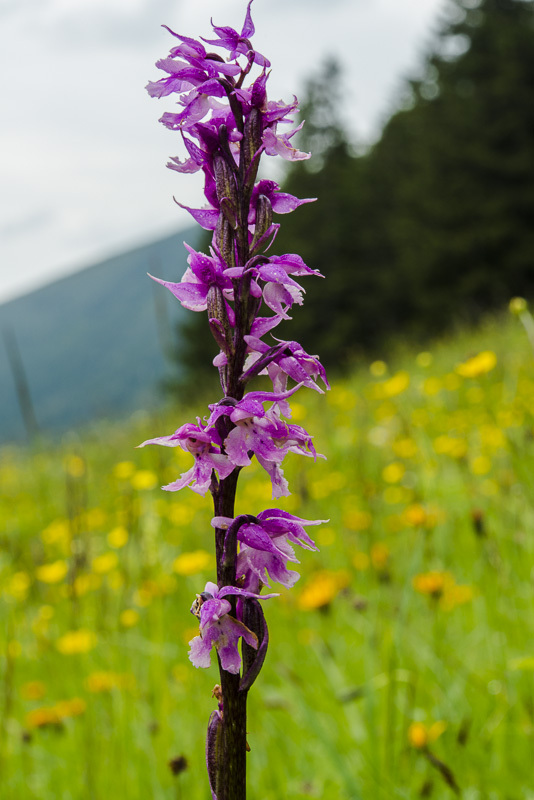 ... return down from there to the Schneebergdörfel. 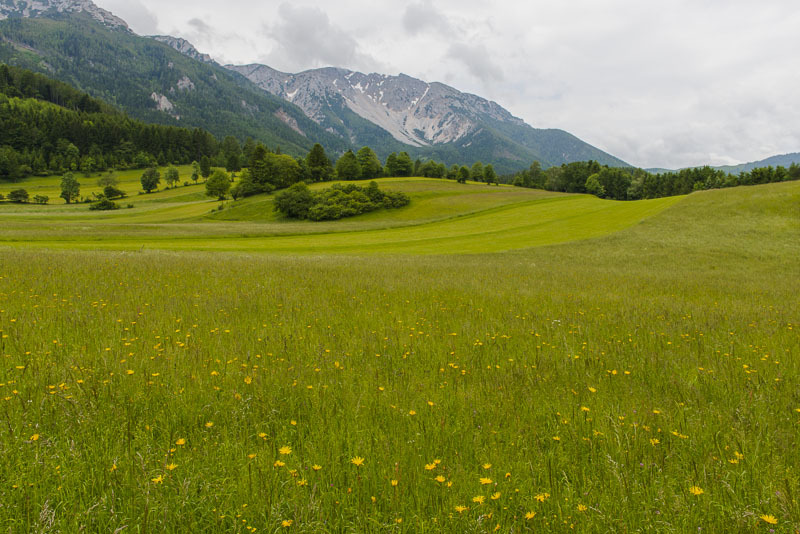 Schneeberg summit is free now.